The gold standard in the interior design and home remodeling scene in the South West. Technology is taking on a more central role in today’s modern life. With plenty of innovations in smart systems and products, there’s no reason not to make your home more functional and modern. You can do this by taking advantage of the most recent technological innovations. One way to do so is by installing smart window coverings in your home. What Are Smart Window Covers? Some models allow you to automatically adjust the settings based on ambient sunlight. The most significant benefit of smart window covers is how easy they are to use. Using an app or remote control to adjust your window coverings has never been easier. Moreover, the ability to adjust your window coverings remotely reduce manual errors and snags, reducing wear and tear. Smart window covers make it easier to adjust your room’s natural light, making natural light an integral part of your home. Studies have shown numerous benefits of natural light in boosting health, and smart windows will help you to increase the amount of natural light in your home. Smart windows are ideal for hard to reach areas, allowing you to cover windows wherever you like. This means you can utilize a beautiful skylight from a window that you would have a hard time opening and closing, for example. One of the ways burglars detect that a house is unoccupied is when the blinds are in the same position throughout the day and night for extended time periods. 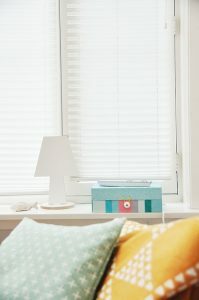 With smart window covering, you can set your curtains to open and close on a schedule, lowering the chances of prowlers breaking into your home. Smart window covers can also be adjusted remotely from anywhere around the world. Window covers add an extra layer of insulation to keep excess heat and outside temperatures from your home. With better insulation, you can save on your electric and heating bills. This is where smart window covers come in, and you can set a schedule that maximizes your insulation levels, minimizing the need to open and close your window covers on a schedule. When buying window covers, be sure they complement your home’s interior. You also want to ensure the covers you choose can be integrated with your home automation system of choice. It also goes without saying that quality is a crucial factor to bear in mind. For maximum utility, ensure your smart window covers are installed by licensed and certified professionals. These types of windows are often difficult to install and require expertise and precision to be able to operate as they should.